Wilson Home Farms offers a truly unique service for home gardeners; the chance to have a successful, productive garden without the struggle. This service was designed to be like "A CSA in Your Backyard." As with a CSA, vegetables are grown for you by a professional farmer, the difference is you get to choose what is grown in your garden, then harvest from your own garden. The garden begins with Garden Planning. Once a planting schedule is created each client chooses the services they would like Wilson Home Farms to render. Garden Management Pricing- New for 2018! A note to returning clients: this pricing system lines up pretty well with what you have been paying, but offers greater transparency. Some clients will see a lower yearly price (especially if you do things like pull out your own crops when they are spent) some will see higher bills (especially if I am doing something like weed wacking your fence line each visit). Below are a couple examples of some garden management clients. Videon Inc. is an Audio Visual engineering company in State College. They have two gardens with a total of roughly 3000 square feet. 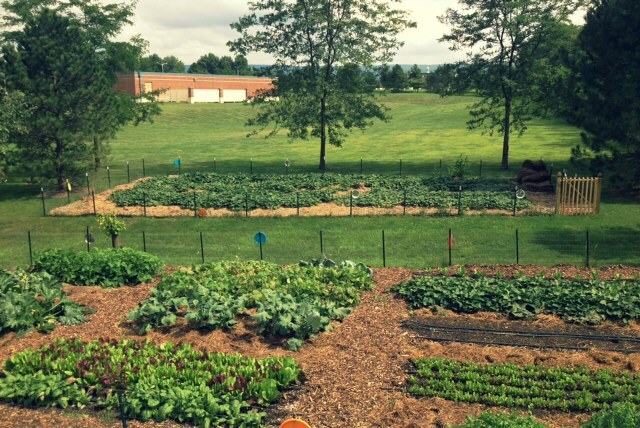 Videon uses their garden to supply an employee lunch program as well as donations to the Central Pennsylvania Food Bank. Videon's main crops are leaf lettuce for their salad bar, broccoli, peas, cabbage, tomatoes and peppers. They receive bi-weekly visits from Wilson Home Farms to tend their gardens. The Kahler Family lives in one of State College's residential sections. 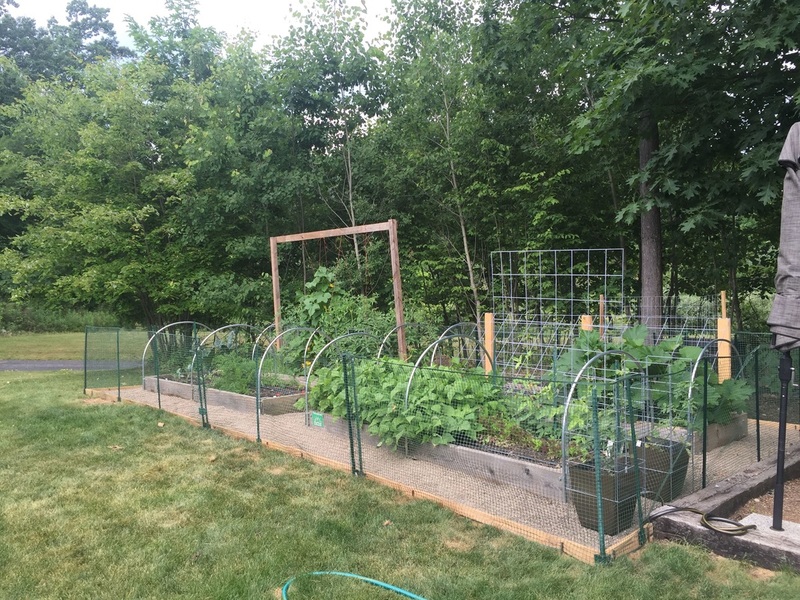 Their garden is 400 square feet and grows for their family of four. Their main crops are asparagus, cucumbers, peas, and strawberries. They also have a peach tree and raspberry bushes on their home farm. 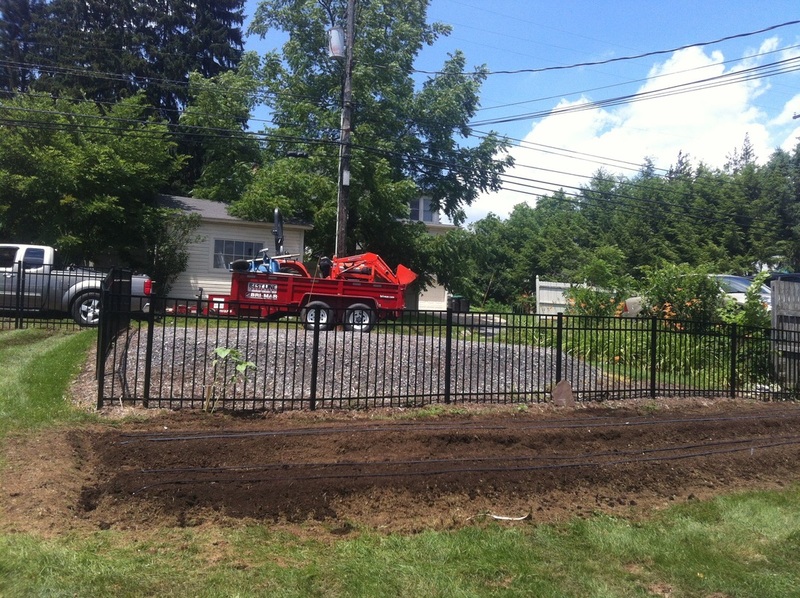 The Kahler's have Wilson Home Farms out bi-weekly to weed and plant their garden. The James family lives in a neighborhood outside of State College. They had Wilson Home Farms install their four raised beds, paths, irrigation system and growing materials. During the first year of the garden Wilson Home Farms visited the James family monthly to coach them through their gardening season. Now in their second year, the James family has a handle of the requirements of their garden but consults with Wilson Home Farms as need. State College restaurants are no stranger to the local food movement. Vegetables, meats and cheeses produced by local purveyors are all over menus, though few restaurants have made the step to produce some of their own food. Wilson Home Farms envisions growing specific crops, on-site for restaurants seeking to please the hyper-local clientele. 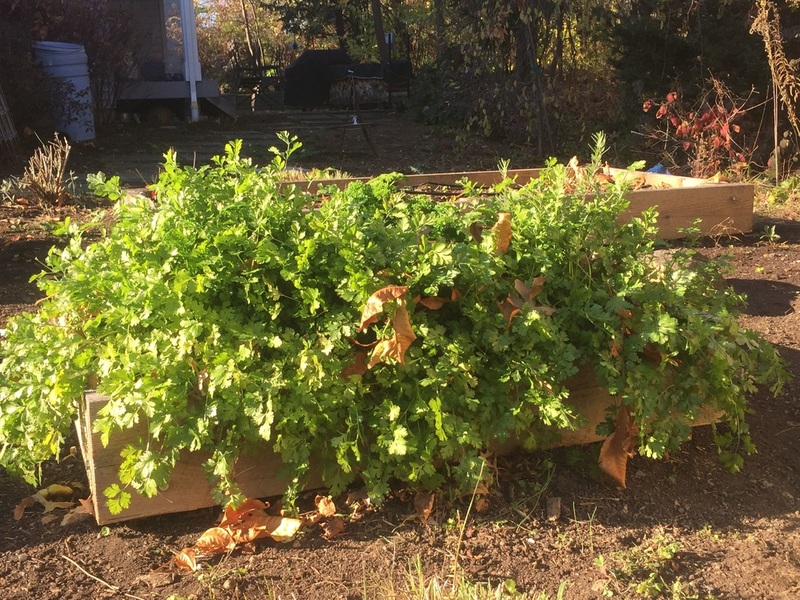 Good crops for restaurants include fresh herbs, which when sold by the pound are incredibly costly, specialty tomatoes, hard to find peppers and fresh salad greens.